For active seniors, Silverado Homes in Placerville offers a broad range of recreational amenities ranging from year-round water aerobics in the indoor heated pool to spa access; a fully equipped fitness center; and a multipurpose room for educational seminars, arts, crafts, and more. Retire in the evenings to a blended home environment that allows you to maintain your independence but also have access to the care and assistance many senior residents want and need. Opportunities for recreation and socialization abound here, but ample opportunities also exist for days and nights of peaceful reflection in a setting conducive to quiet repose. Looking to escape the responsibilities of owning and maintaining a large property? Our comfortable, no-maintenance homes offer a full list of attractive amenities and services to meet your everyday needs while also helping you maintain your active daily lifestyle. The Placerville community brings with it the peace of mind of round-the-clock security and offers exterior home and landscape maintenance, wireless emergency response systems, and a wide variety of service and care choices. There are also assisted living apartments and memory center options to provide physical therapy services and more for homeowners. Silverado Village communities offer priority access to the homeowner Village Center and Eskaton Lodge, including access to the Bistro Café. 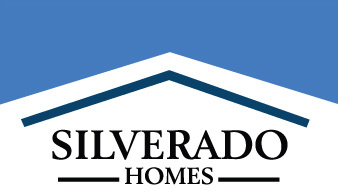 For more information, please call (530) 748-3568 or visit www.silveradovillages.com. © Silverado Homes reserves the right to change details and availability at any time. The above optional services are subject to personnel availability. Please see your Sales Representative for further details.